Welcome to the introduction of the newest Development Roadmap. Thank you all for patiently waiting, the moment is finally here. 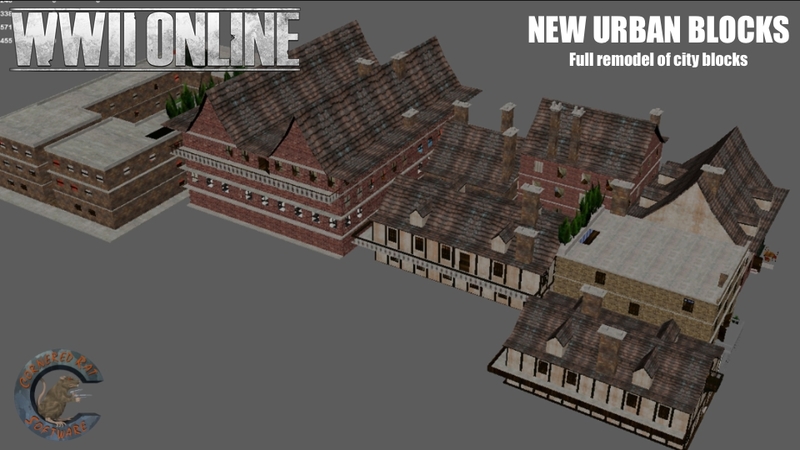 We have several highly requested items going on the list (some of which are already underway), game engine upgrades, brand new vehicle development, player improvements, game world expansions, new building development, new subscription products and whole lot more coming (pictures inside)! The #1 priority at this stage is to increase funding support via subscriptions to make these things possible, and we need you to step up that subscription support. 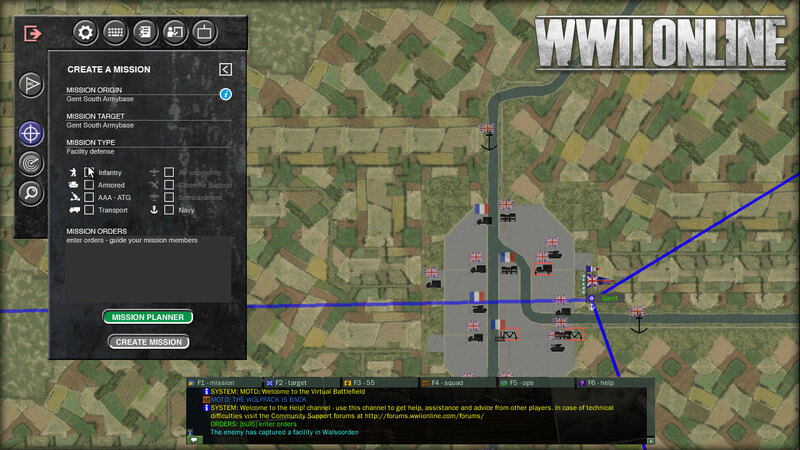 Do so now at www.wwiionline.com/account and let’s bring this Roadmap to life! Here is a review of our specific completions for the year. 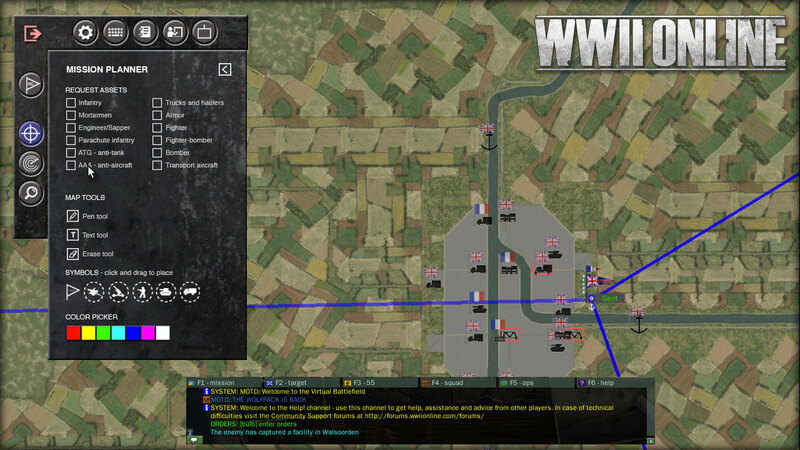 We completed a large number of assignments and deployed them to the game. Check the full release history of 2018-19 here which provides all specific release updates now in WWII Online. We are working to accomplish most if not all of this within 2019 but we do expect to press into 2020 a bit as the number of things being worked on is quite extraordinary thanks to our Cornered Rats and CRS Volunteers. Currently 1.36 is in Closed Beta and will very quickly be released to the LIVE CAMPAIGN server for a 1.5-2 week Open Beta soft-release test. 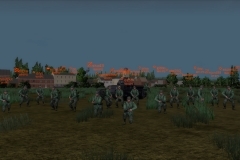 This is a major development for all players as it is the highly acclaimed release containing both Town Based Supply (GARRISONS) and move-able brigades / divisions, merged into one system. Full release of 1.36 is estimated by end of April 2019.
Review the 1.36 Briefing/Manual (CRITICAL READ) here to gain more understanding of the mechanics and how this works. Join the 1.36 Hybrid Supply discussion forums to ask questions, learn and participate constructively to produce the best outcomes. Note: Organic means non-Steam account holders. We have a maintenance released scheduled to solve several outstanding bugs impacting players experience. 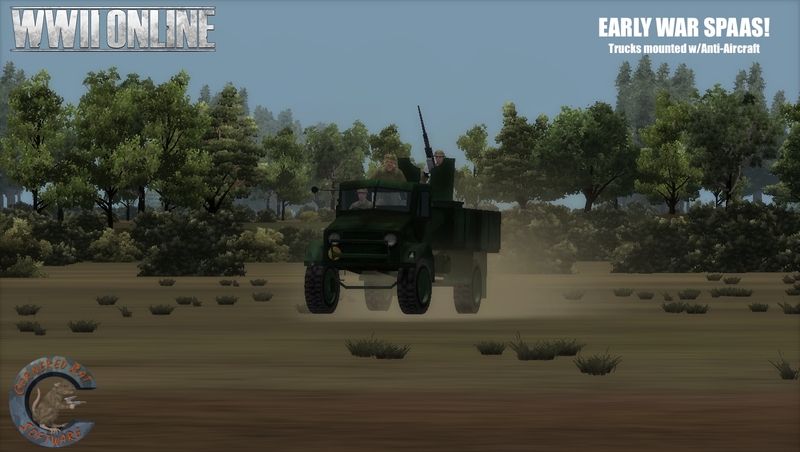 One of those include Anti-Tank guns tipping over while being towed. Another item is to make sure that all aircraft components have the correct damage properties. There are currently 100+ ticket fixes in this release and we’ll keep you posted on this as it progresses. 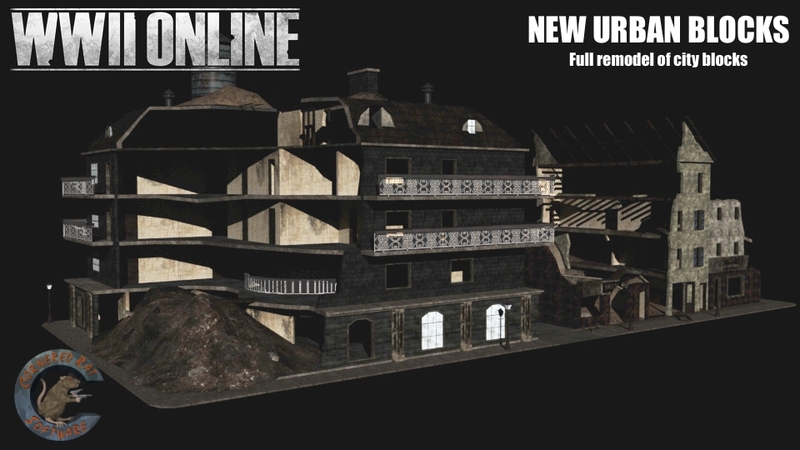 The emphasis is cleanup and bug resolution over new content. 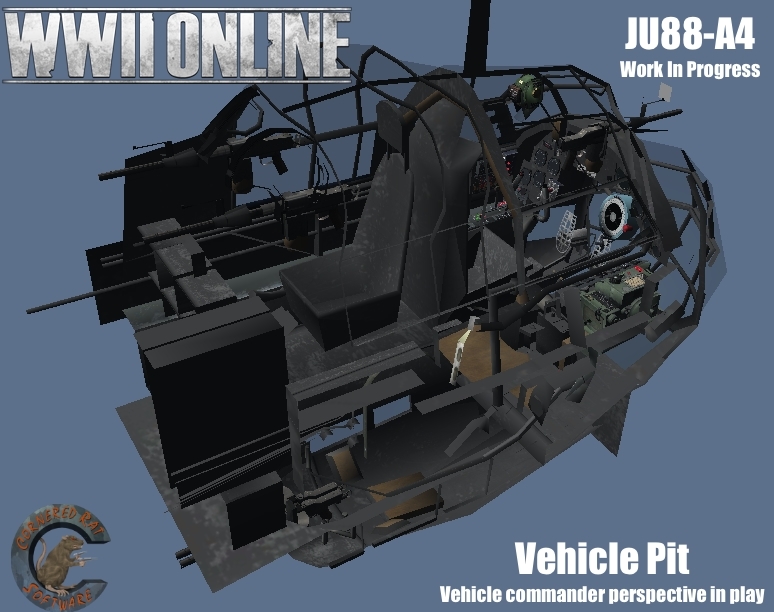 We’re ecstatic to inform you that WWII Online will receive VEHICLE LOADOUTS as requested for many years. 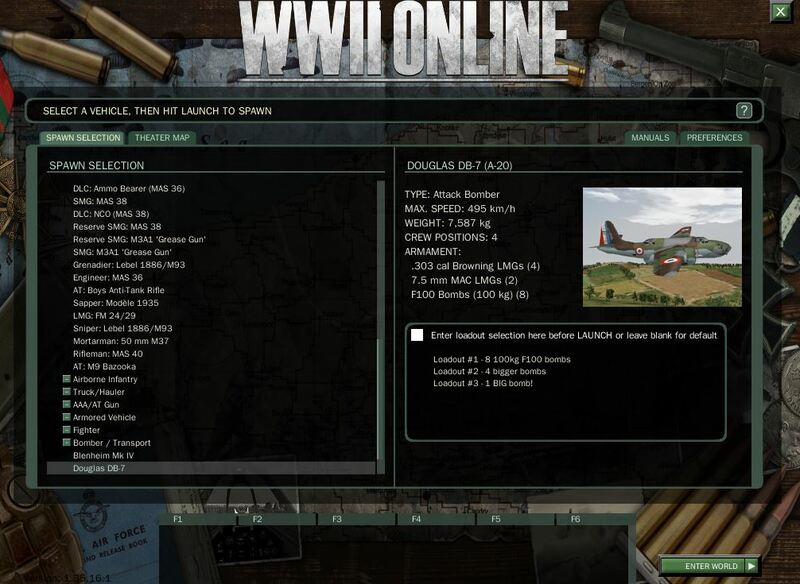 We will start with Bomber load outs and work our way throughout the spawn lists which will allow you to select within the game interface what sort of historical bomb options you want to launch with. This is a highly requested and massively valuable thing to all players, we hope you’re excited about its potential! 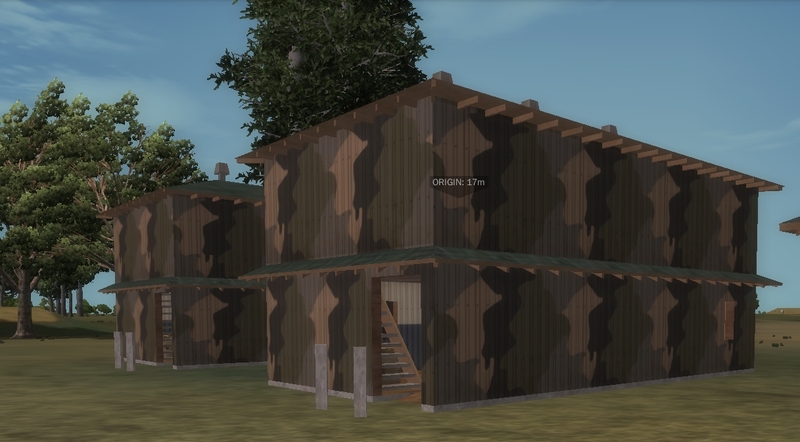 The below picture shows a rudimentary implementation of load outs for development purposes. We’ll be cleaning this up a bit to improve the user experience, but it does illustrate a proof of concept and is actually being used to create this. We have been evaluating how to make Server Tracked Bombs a reality and we believe we have a strong path to doing so. Our goal is to first focus on STO Bombs to improve high-altitude bombing capabilities of all kinds. This is a major development for bombers, as right now you currently have to see your target in order for your bombs to kill enemy forces. It is our goal to upgrade SpeedTree technology from version 4.2 to version 6.0. 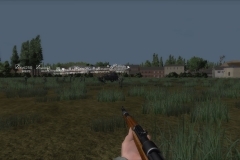 By doing so we should see a quantum leap in terrain visuals, improved shader management, and we are currently exploring ways to offload other terrain objects onto the SpeedTree technology because it relies nearly exclusively on the GPU (Graphics Card) where as most objects in WWII Online currently run on a single CPU. We anticipate this will enhance performance whilst improving the visuals of the game. Upgrading our technology from within seems to be the most viable option at this stage for taking the game further graphically. We are evaluating any and all ways internally to upgrade our core technologies, and our team members at CRS are becoming more well versed / familiar with the code base. For sometime in the forums now we have been discussing the need and recognition that we need to improve WWII Online’s user interface. 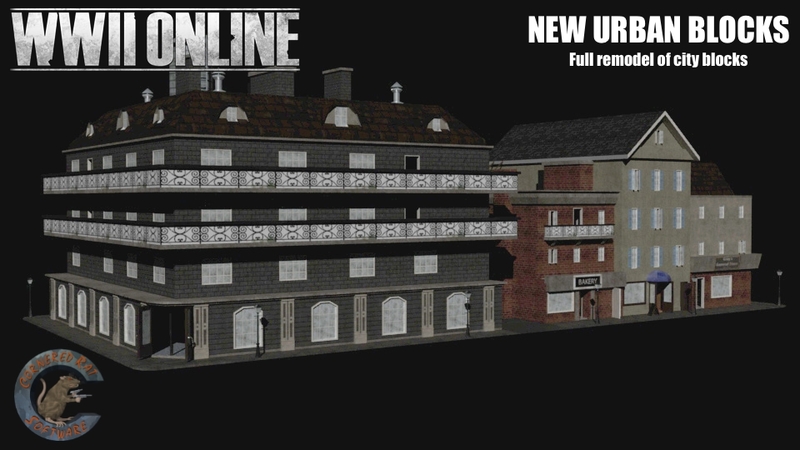 Here are a couple of concept images we have put together to help illustrate the direction we’re looking to take. Disclaimer: These are work in progress photos and may not be the final result. Giving our mission leaders more tools to better direct users has been discussed for sometime. This is a concept within this UI plan to achieve that. This will take a bit of code work involved to achieve, tell us what you think. We’re exploring and have been communicating with the devs at TrackIR to expand our support from basic head movement (left to right – up and down) to include leaning (forward – backward) and sitting up / hunching down movements. The objective of this is to create a substantially more immersive environment for our pilots primarily to engage in. 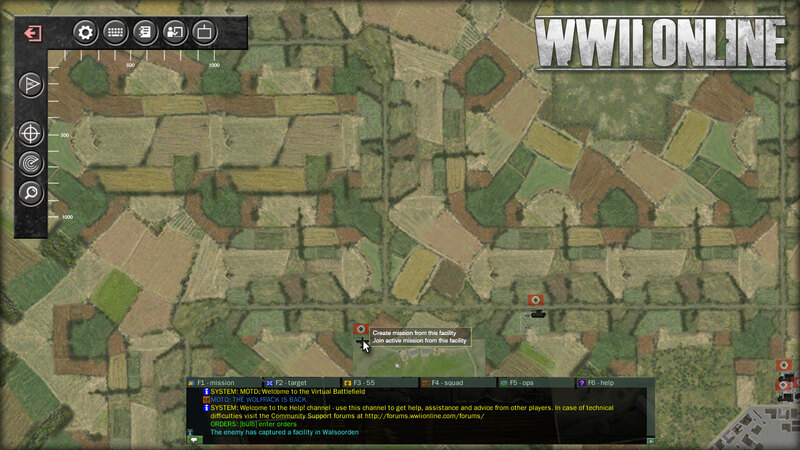 However if you use TrackIR currently you could use it in any fashion in WWIIOL. We’re aiming to solve the majority of auto-despawning concerns without removing its original purpose of being implemented. We have a lot of feedback from players and plenty of data now to work with to help guide us better in providing solutions. This is both continued analysis and improvements of our networking from a code base and physical network basis. We currently have a couple of strong leads that will be employed by Q3-2019 through a software release which should help mitigate this. CRS is continuing to listen and take the feedback received by players on this very seriously. Thank you for your .bug reports and grace. Auto-despawning was originally added as a way to have players reload into the cell host (which manages user-user connections) when severe packet loss occurred. This continues to be a valid implementation. 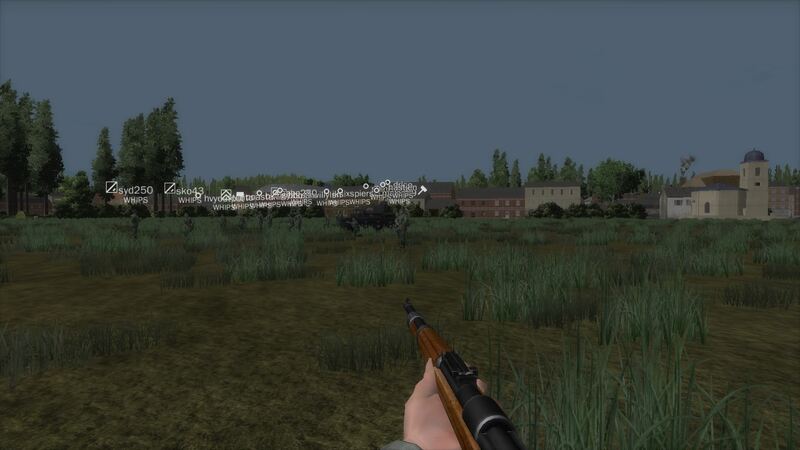 We learned early on from our Steam release that lots of new players who are trying our game are experiencing some un-natural movements while controlling the infantry characters as it pertains to aiming. Our intention her his to smooth infantry mouse sensitivity so that it is smoother and less clunky. This should give players a more natural and immersive feeling that they’re more used to. We will be adding a pop-up keymapper card upon pressing a certain key so that users can quickly understand their vehicles controllers without having to dig into a wiki or ask around too much. We realize WWII Online is a bit complicated for new users so we want to help mitigate that learning and empower our veterans to better assist those players as quickly as possible. The key which is pressed will be unanimous with all vehicles so it will be easy and useful to follow / direct new players. We’ll be seeking to add more options for players to manage certain UI / HUD elements transparency settings. 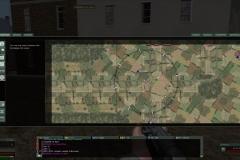 Sometime ago we had this capability for your maps, you could see what was happening and maintain some situational awareness while checking out your map. This will return along with the possibility of other UI/HUD elements being added to have that kind of control. 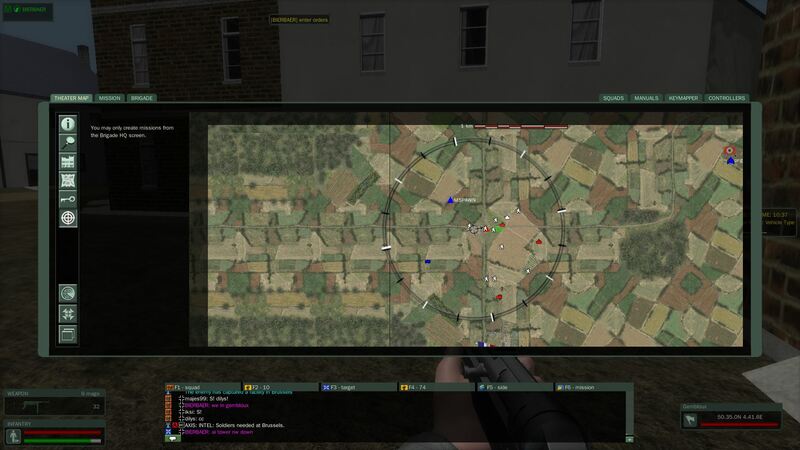 As you see with “Target” and “Origin” markers on your HUD (Heads up Display), we will be adding a new command feature for mission leaders to mark a waypoint on their map which will then show up as a visual marker on their HUD. The objective of this is to better direct forces to a specific target. In the below picture you can see it says “ORIGIN 17m” which is the waypoint marker we’ll be using. This photo is a demonstration of how it will be applied and seen transparently through any object or orientation of the user in-game. We’re ecstatic to inform you that we are working on an all new, 100% from scratch ground up airframe. 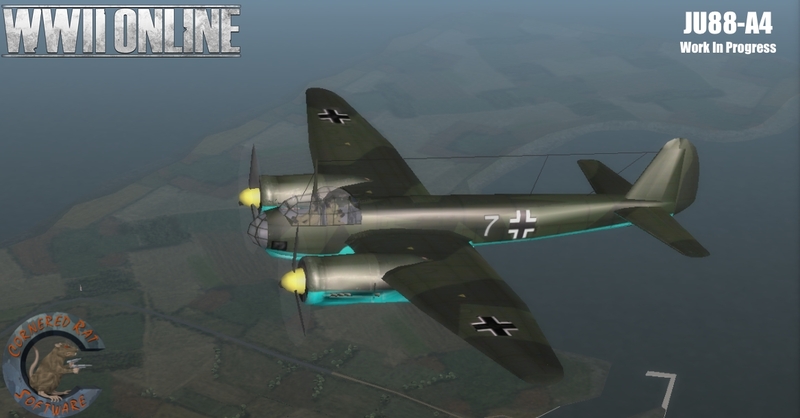 The Ju88-A4 is the next bomber coming to WWII Online which will bridge the gap for the Axis Forces who currently do not have a DB-7 / Havoc counter part. It is a 4 man crew and is a highly capable aircraft that can carry different load outs. As we work towards getting load outs for aircraft (and eventually all other vehicles) available you will be able to pick historical load outs that we offer. See below for the next Allied aircraft coming. Below is the vehicle pit from an outside view. 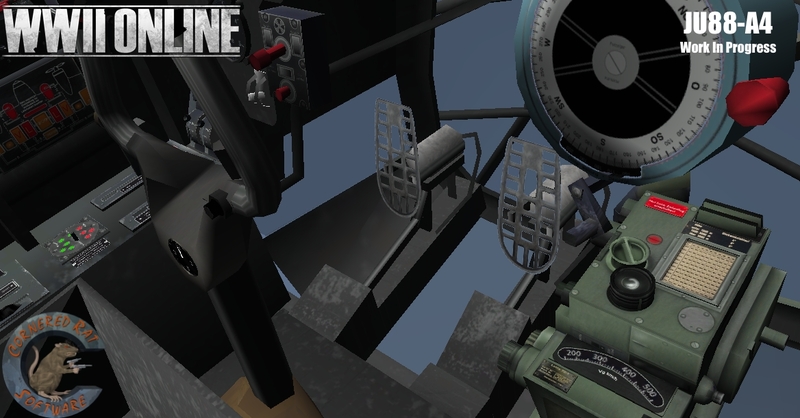 This is where most of the details of the cockpit are seen by players when they’re commanding the vehicle in first person. You will notice a great amount of details and care put into this model. Thank you to BMBM for the exceptional work! Pictured below is the pilots perspective. 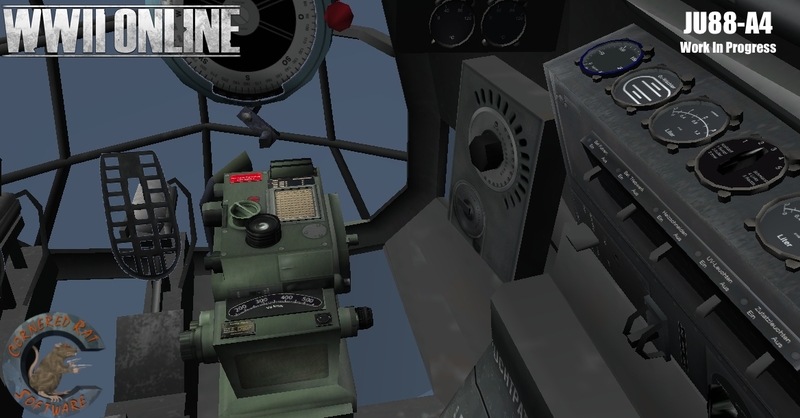 Pictured below shows the targeting computer and other instruments that helps guide the pilot to his target. 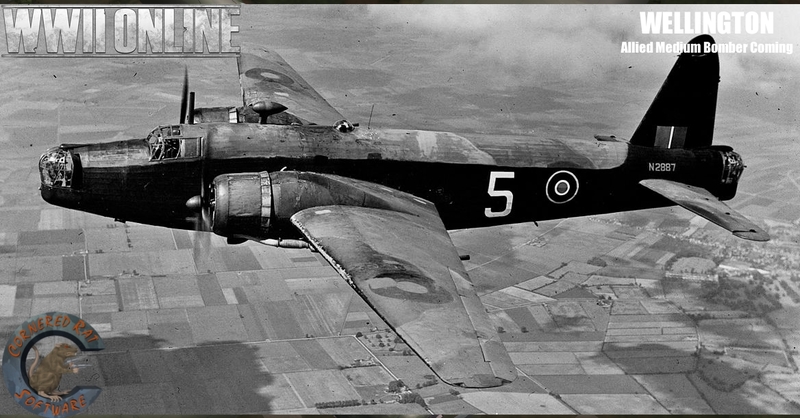 After the Ju88-A4 is completed CRS will begin production on the Allied Wellington Bomber, which was selected to bridge the gap for the Allies lack of a Heinkel-111 medium-heavy bomber. 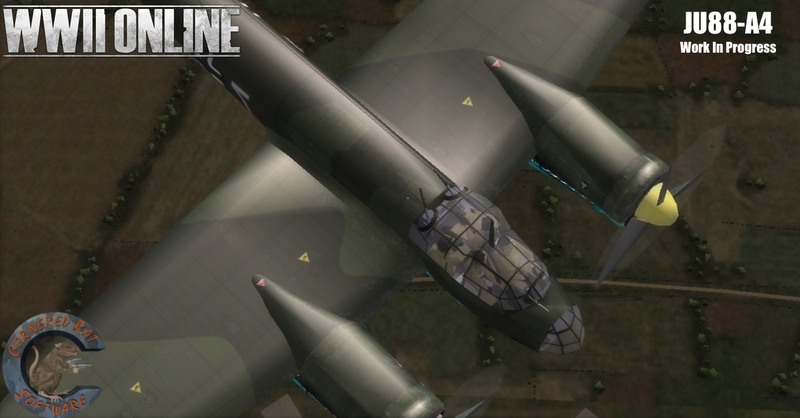 Once again, as we get load outs working we will offer a variety of load outs for this and all other bombers. 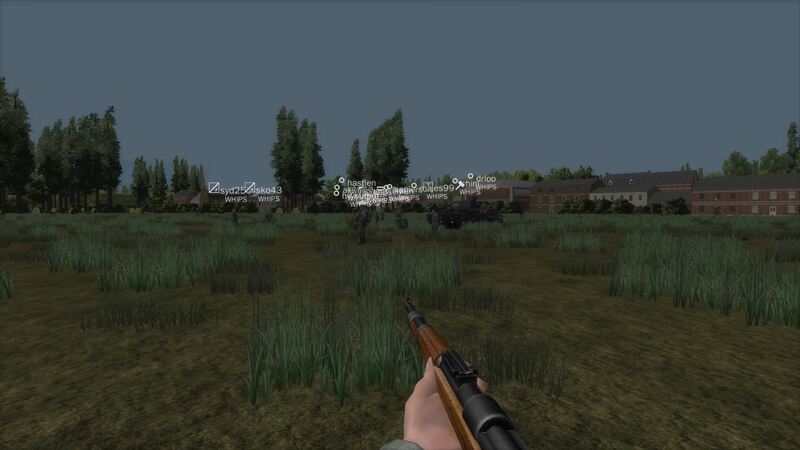 Implementation of early war Self-Propelled Anti-Aircraft weapons are important for WWII Online. We have seen extraordinary usage and effectiveness of the later war SPAAs which were implemented in 2018 and we want to offer faster, more maneuverable options for all countries. These SPAAs will be available in Tier 0 and carry on throughout the war. Pictured below is the Bedford proof of concept to showcase the capability and mobility of these weapon platforms. 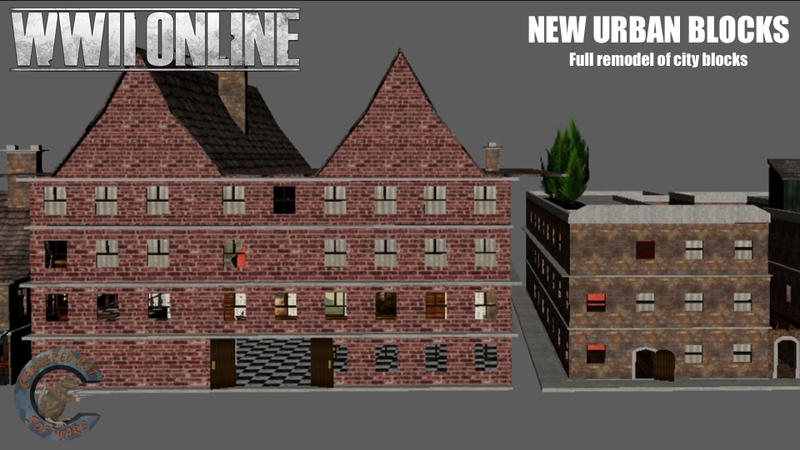 In all major cities throughout WWII Online “city blocks” can be found. As part of our continuing plan to improve game play experiences and graphics, we are looking closely at all available Terrain / Building objects that could use some re-imaging. Below are some examples of how we’re paying close attention to historical building decor both in a standing, and damaged state. 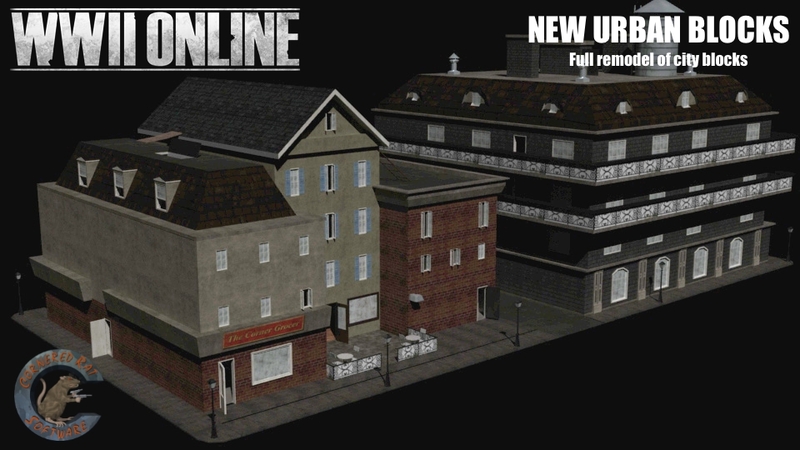 Lots of consideration went into these buildings and if you look closely you can see how it will expand the game play environment opportunities quite a bit. 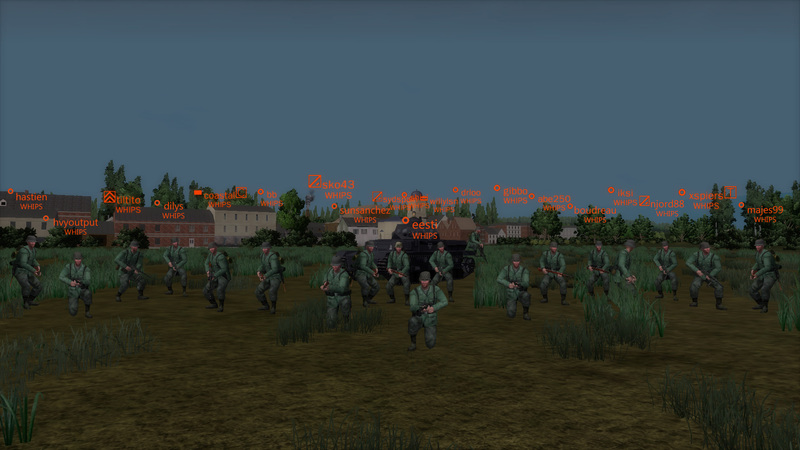 Getting the US Forces into the WWIIOL Campaign properly with a fully functional RDP system behind it is a key priority for our team to deliver on this year. US RDP facilities will likely include some form of depots or non-factory object that you’re used to, in keeping with history and recognizing their factories were in the US mainland and shipped overseas. These US RDP Facilities / Depots will have full functionality and operate as standard RDP factories in every way, with the exception of the model that we are using. They will be clearly listed and use the same RDP icon on the map so that they’re easy to find. They’ll also be added to the .RDP command accordingly. 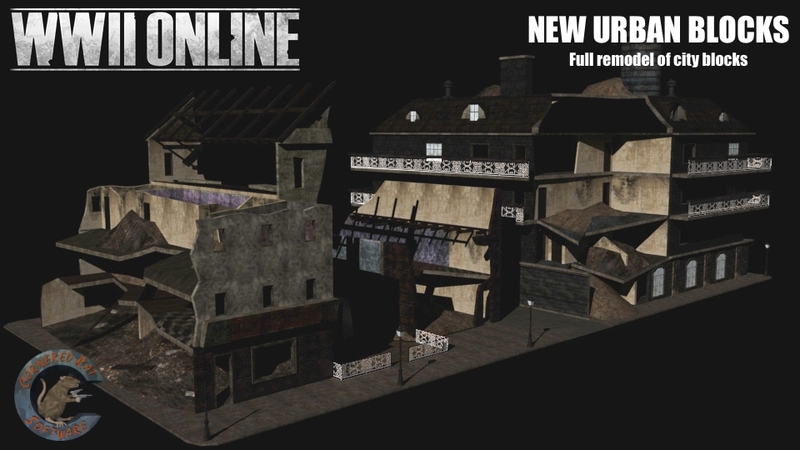 The Production team is currently examining new areas of development for Terrain expansion. 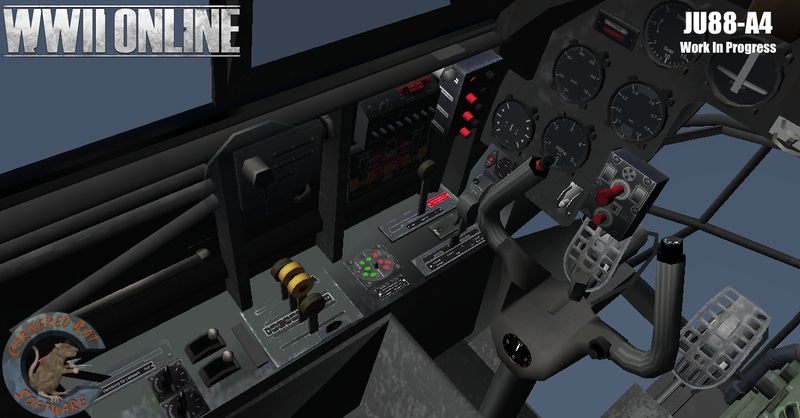 We’d like to thank both Merlin51 and Five for their extraordinary work and immense hours being put in to the planning and development of Terrain. 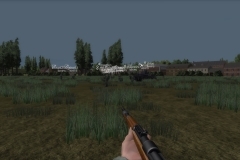 We’d also like to thank FRISBONE for his efforts in developing TE2 (Terrain Editor 2) which is nearing completion and should expedite the development of Terrain. We hope to incorporate more elements of Sea based play and get the coastlines more valuable and engaged into the war as a guide post. 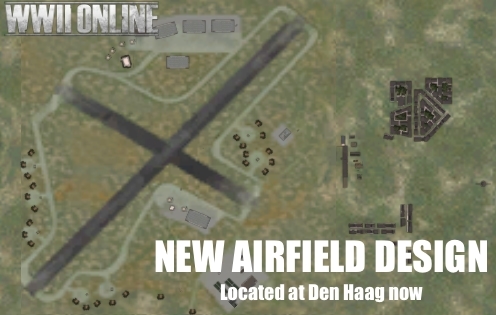 You can also expect to see new unique airfields as with the latest Den Haag. Adding this sort of variety adds to the character of WWIIOL, continuing its legacy of adding unmatchable depth and replay-ability. In order to make these things and more possible, CRS will be launching a funding campaign in the near future (standby for launch information). We have recurring licensing, contracting and upkeep costs that need to be met. Throughout the life-cycle of this Roadmap there may be additional funding initiatives that get underway. As we are 100% community supported (funded) we’d like to take this opportunity to say thank you for making all of our 2018 achievements possible and we look forward to what’s ahead. Your subscription is the literal life blood to WWII Online. 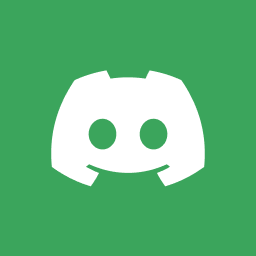 Over the last year there has been less support than previous years and we ask you to take an intentional action to resubscribe and back us up ongoing, right away. Go to www.wwiionline.com/account to our brand new account pages. If you are currently subscribed, we want to point you towards becoming a Monthly Hero Builder (here). By doing this you are securing our ability to keep WWII Online functional and healthy. Your subscription support, each and everyone of you, is essential. Thank you for all of your support and we look forward to accomplishing this outstanding Roadmap with your backing.